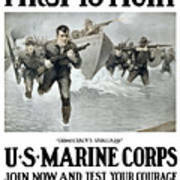 There are no comments for Us Marine Corps - First To Fight . Click here to post the first comment. 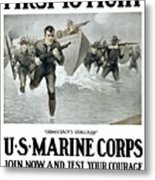 This vintage World War One poster features US Marines storming a beach, rifles in hand. 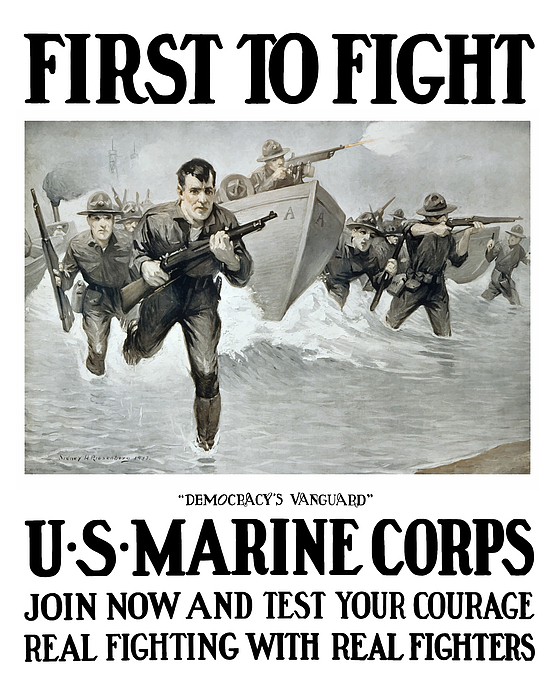 It declares, "First To Fight, Democracy's Vanguard, US Marine Corps, Join now and test your courage, Real fighting with real fighters". 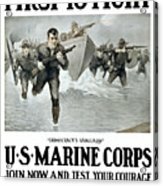 Celebrate Marine Corps and WW1 History with this digitally restored vintage war poster from The War Is Hell Store.